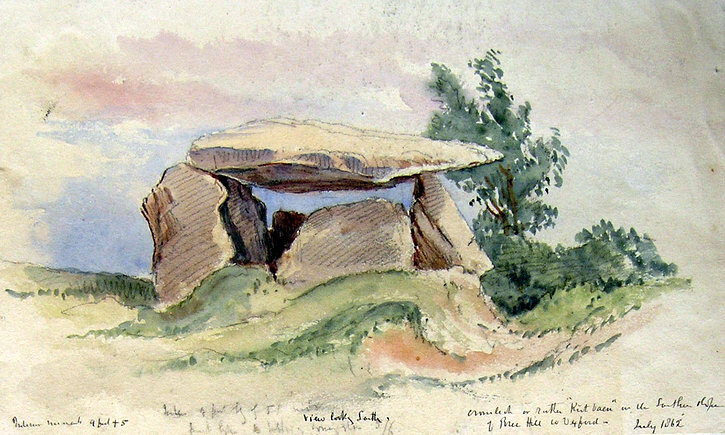 These beautiful images of the Neolithic portal tomb (dolmen) at Ballybrittas, Bree were drawn by the noted antiquarian illustrator, George Victor Du Noyer, in July 1862. 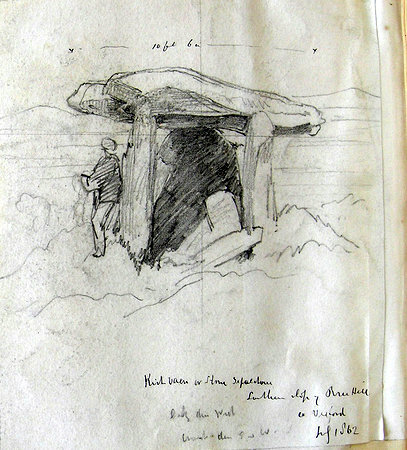 They represent the oldest surviving depictions of the dolmen and the images now form part of the Royal Irish Academy’s collections in Dublin. The portal tomb was originally used as a burial chamber by Wexford’s very first farming communities, circa 6,000 years ago.